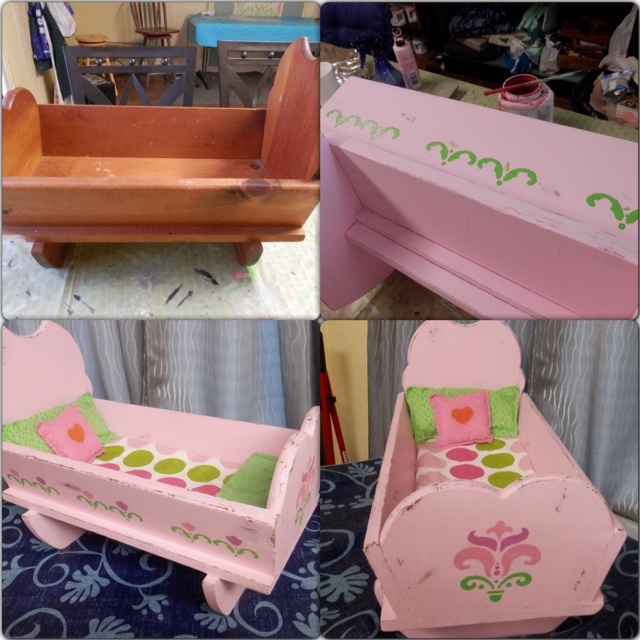 I had this old baby doll bed that I had in my classroom for many years. It’s been in my workshop for a while and finally got around to doing it this week. I painted it a light pink, stenciled some decorations on it, distressed it, and then clear waxed it. I also made a new cover for the mat and added a pillow and blanket that I bought recently. I think this would make a cute addition to any little girl’s room. It is for sale in my shop for $45. 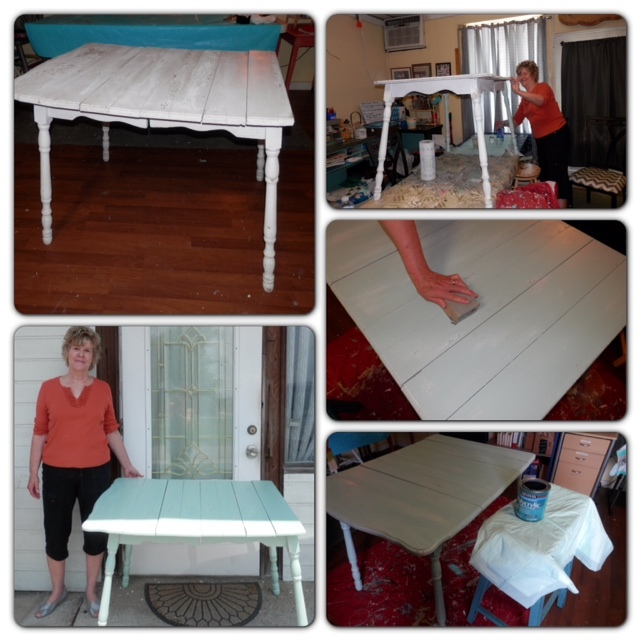 Ginger’s Attic Painting & Distressing Workshop scheduled for Saturday, July 12. Reserve your spot now. Space is limited! Be sure to look at my website for updated pictures of workshops, items for sale, and before and after pictures of projects. Thanks for looking and sharing! I am having a workshop this Saturday at 8:30am. I have 2 spots open. Send me a message through facebook if you are interested. If you know of someone who may be interested send them this link. The information on the workshop is on the website. Thanks! Please check out my new website for “Ginger’s Attic” My daughter, Amy, helped me get it started. You can view items for sale in my shop and find out information on my workshops. I will continually update information on it. I’m excited about being able to reach more people through this website and will be able to keep in touch with my clients and book workshops. I would appreciate you viewing my pages and giving me feedback and also sharing this website with your friends.